There’s been a lot of discussion of “consent decrees” as they apply to police abuse and the Justice Department in the news of late. These consent decrees are court-enforced agreements between cities and the federal Justice Department on how to reform city police departments accused of civil rights and systemic constitutional violations. Widely supported by the Obama administration, their future has been in doubt since President Trump has taken office and Attorney General Jeff Sessions has ordered a review of any and all federal interventions in law enforcement agencies. After the beating of Rodney King was caught on tape and sparked public outrage, Section 14141 was inserted onto a crime bill and signed into law in 1994, authorizing the attorney general to investigate and sue to eliminate any patterns or practices of unconstitutional conduct by law enforcement. This Section ultimately allowed cities the chance to avoid federal lawsuits if they agreed to make certain changes in their policies and practices—an agreement formalized in the form of a consent decree. These decrees have since covered significant issues involved in police abuse, including racial bias, poor training, and the use of excessive force. For cities like Pittsburgh, having them in place brought real reform, such as cultural diversity training for offices, a curtailing of strip searches, documentation of traffic stops, and more. That is, until a new mayor took office and put an end to the decree’s use due to political pressure. However, by then, Pittsburgh was considered to be a model of progressive policing. Since the early days of Pittsburgh, other cities hailed as a success due to consent decrees also included Los Angeles. Consent decrees have a proven track record of cleaning up police abuse better than voluntary arrangements (known as memorandums of agreement). And without them in place, cities like Pittsburgh were thrown back into their past, spending close to $5 million to settle approximately 30 civil rights-related lawsuits against local police departments. Still, many say that successful consent decrees—even if no longer officially in place—had ripple effects, leading individual police chiefs to once again re-engage local police departments with efforts to improve racial relations. 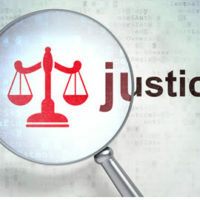 However, these efforts could very well be negatively affected by statements from this administration in Washington may be railing against improving constitutional and civil rights violation reform. Racial inequality is much too common when it comes to our justice system. And the sad reality is that you could very well be a victim of it or another civil rights violation. If you are, an experienced criminal defense attorney can help you build the defense and preserve your rights as the criminal justice system requires. Phillip J. Murphy has been providing criminal defense services to clients throughout New York and New Jersey since 1989. We can help you with your defense. Contact us today for a free consultation.